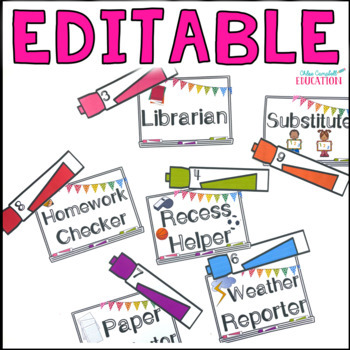 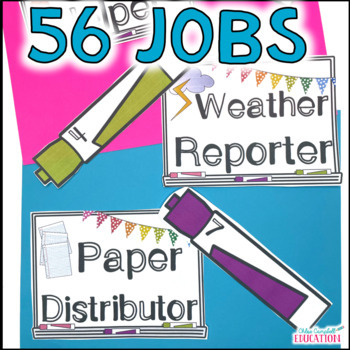 This editable classroom job resource includes over 50 jobs with two printing options: whole-page and half-page! 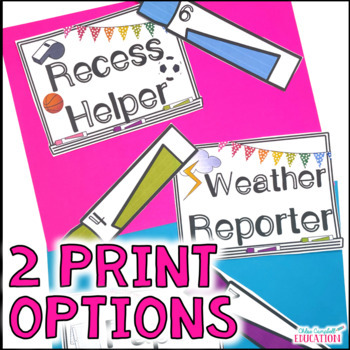 Print and laminate job titles and whiteboard markers. 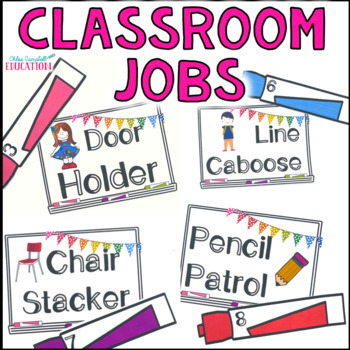 Match the markers with job titles to display classroom jobs!